Isn’t bullying just kids being kids? I mean, everyone went through it right? It’s harmless. 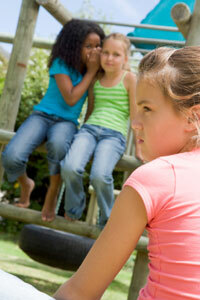 Bullying is a form of abuse at the hands of peers that can take different forms at different ages. It is targeted and repeated. It involves power, aggression, intimidation and shame. It preys on vulnerability and exposes both children who bully, and those who are bullied, to a number of social and mental health problems and a lifetime pattern of abuse. Any abuse - in particular the kind of abuse that can lead a child to contemplate suicide - is anything but harmless. When children bully, they learn to use power and aggression to control and hurt others. The children who are being hurt become increasingly powerless and find themselves trapped in relationships in which they are being abused. The children who watch bullying happen learn how power is gained by intimidation, and how control is gained through fear. Adults must intervene and teach children how to connect with people respectfully, in positive, healthy ways. If they don’t, the only types of relationships children will understand as they grow up, will be dysfunctional ones. Without healthy relationships, children cannot develop in healthy ways. 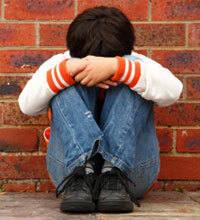 Read more on what parents and educators need to know about bullying. Like blinders, labels such as: “bully” “victim” and “bystander” limit how we see children and how they see themselves: as a product of their actions and nothing more. To truly understand bullying as a relationship problem, we need to ditch the labels and focus on the whole child: their strengths and challenges, their environment as well as their relationships within the family, peer group, school and community. To stop bullying, children need clear and consistent messages about what it means to relate to another person in a positive and healthy way. To stop bullying, kids need to understand social responsibility and the importance of standing up for themselves, and for others. 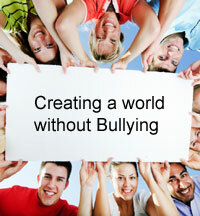 To stop bullying, we all need to work together to promote healthy relationships and eliminate violence. Are you afraid of being bullied, or have you bullied others? Maybe you have watched others bully? We can help! 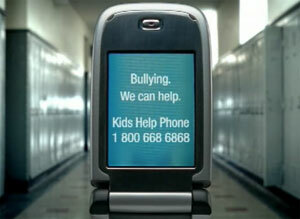 Learn more about the dangers of electronic bullying and why you should care.